Venue: AG-66 and Homi Bhabha Auditorium, Tata Institute of Fundamental Research, Mumbai. Participation is by invitation only. 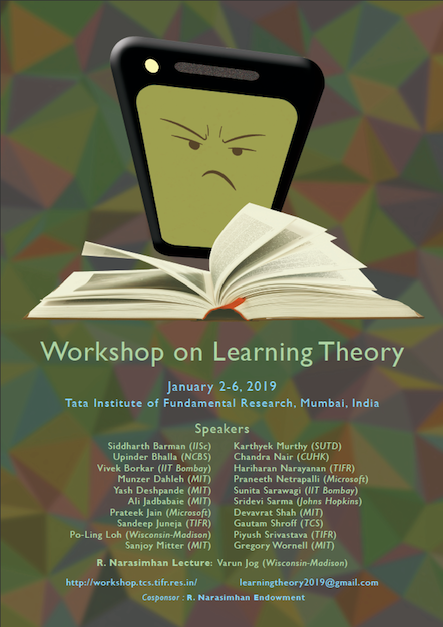 Please contact learningtheory2019@gmail.com for further information. The last date for receiving invitations was October 10, 2018. Invitations to the workshop are no longer being sent out.